I want to preface this post by saying that I recently gave an audio review of this TV show in episode 2 of "The Burning Strength Show". 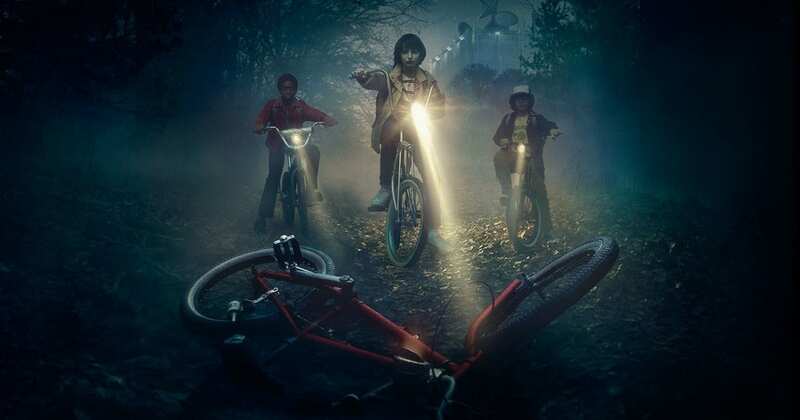 The hope of this written review is to provide you with a little bit more of my analysis of this now viral Netflix-exclusive TV series. The show's setting is pretty obvious from the beginning. It takes place in a small town during the 1980s. Everything from the soundtrack, to the costumes, to the cultural references, to even the camera work screams 80s. What I can say is that there are two things that help us realize that this show was not lost for the past 30 years and revived in 2016: the HD quality of the show and the realistic acting. Let's start with the HD quality of the show. The camera work is reminiscent of the 1980s, that's for sure. The TV crew uses a lot of lighting and music to help augment the mystery of the series. This is a great feat. If you happen to have a UHD subscription to Netflix and a 4k screen, you are able to watch this series in 4k resolution. Just in case you were wondering if there is "that big" of a difference between HD and 4k... the answer is "yes". It is very noticeable. But you do not need a 4k screen to enjoy this series whatsoever. This story relies on a combination of a well-written unique story-line mixed with some very good childhood acting. Not only did the director choose to get unknown childhood actors, the show's creators also decided to go through a rigorous process to get VERY GOOD child actors. Because of this, views get pulled in from the first minute of the show. It may also be the reason that this show is the "most binge-watched" TV show of the summer. There are some benefits to Netflix releasing an entire season of a show all at once. The bottom line: I would absolutely recommend watching this very original mystery series if you are a fan of mystery TV shows. All of the elements that the show's creators combined have developed one of the most original TV series that are available in 2016. You'll know from your experience of episode 1 whether this series is the right one for you.